In the whole dark, sordid milieu of New York's gritty neon-clad hotels, one establishment stands out as a particularly dark star. 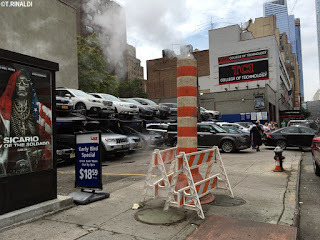 A nondescript parking lot is all that remains where once stood the Penn-Post Hotel, at the southwesterly corner of Eighth Avenue and West 31st Street in Manhattan. Scratch just a little below the asphalt, and this unassuming corner comes alive with stories of sin and scandal that could make even Philip Marlowe himself think twice before taking the case. I first noticed the Penn-Post in an old photo from the early 1970s, taken just before it was torn down. Something about the place seemed worth second look. But where to start? 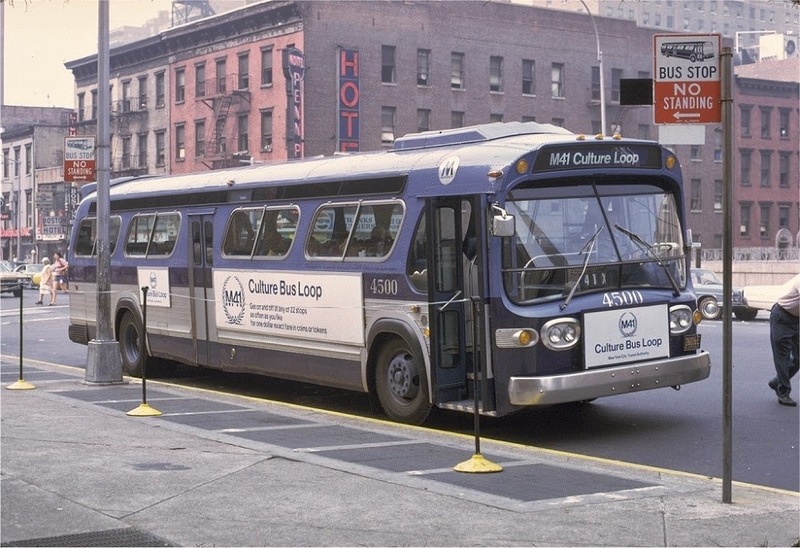 The hotel's name lay partly hidden behind a M34 "Culture Loop" bus parked in the foreground. 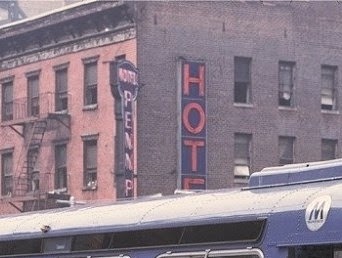 Beyond the bus, a tantalizing glimpse of the hotel's ancient neon sign yielded only the letters "PENN P-"
I filled in the rest a few months later, on a visit to the Municipal Archives downtown. It took just a few minutes to scan through a grainy, microfilmed copy of a 1933 City Directory pulled from a battered metal file cabinet. 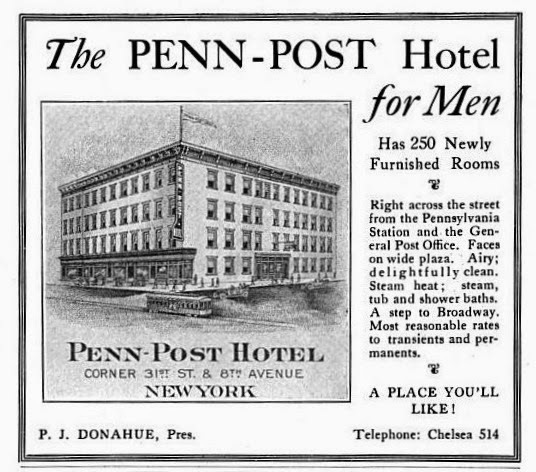 "Penn-Post Hotel," it said: "Marg't L. Donohue, mgr." Something told me ole Peggy must have been quite a gal. I decided to keep digging. With the hotel's name in hand, the rest came easy. Exactly when the Penn-Post first reared its head on this corner is unclear: the building likely dates to the 1870s or so, but the name must have come after the advent of the neighboring General Post Office (now the Farley PO), opened in 1914, and of course Penn Station, opened in 1910. The hotel turns up with an encouraging illustration in the 1920 edition of something called the "Official Hotel Red Book and Directory," advertising itself as the "Penn-Post Hotel For Men . . . A Place You'll Like!" Turns out the Penn-Post wasn't all that likable, unless maybe you had nowhere else to go. A New York Times search yields a succession of headlines that read like a stack of film noir screenplays. First comes the murder, in November 1920, of one Leeds Vaughn Waters, "globe-trotter," by a certain John Reidy, aged 24, deserter from the navy. Waters, it seems, picked up Reidy on 42nd Street in the wee hours of Wednesday, November 3rd. Reidy later told police that Waters, apparently a friendly sort, invited him to spend the night in his rooms at the nearby Hotel Plymouth. One thing led to another and Waters wound up dead at the hands of his new friend. The cops caught up with Reidy a few weeks later, at the Penn-Post Hotel. The next year, more trouble: "Two Restaurants and Hotel Robbed," read the headline. At around 2 a.m. on December 21st, a pair of armed assailants kicked off a minor-league crime spree at the Penn-Post, where they managed to shake down the night manager for $50 (they also made off with the room clerk's diamond tie clasp.) "They were swarthy," said the Times of the gunmen, who remained at large the next day. 1922: another year, another stick-up, this time complete with a cops-n-robbers car chase straight out of the Untouchables. The two gunmen had just gotten started with the night clerk when the cops, alerted by "a newsboy known only as 'Abie,'" crashed the party. Caught off guard, the bad guys split up: one dove into a getaway car where a couple of girlfriends were waiting and took off down Eighth Avenue. New York's finest commandeered a passing sedan and gave chase, finally catching up with the bad guys at First Avenue and 18th Street, shots exchanged all along the way. The girls wound up in the slammer, but the gunman got away. The other bandit meanwhile had hopped on the running board of a "north-bound touring car" headed up Eighth Avenue and, "holding his pistol at the chauffeur's head, ordered him to put on at full speed." A police detective hailed another passing car and tailed him as far as 47th Street, but the second gunman too managed to give the law the slip. The Penn-Post made headlines again in 1923, when one of its residents - a certain Frank Kelly - got himself shot in the neck by the men in blue after a botched robbery attempt at a pool hall on West 41st Street. The hotel lost another lodger to the clink in 1924, when police nabbed Edward Diamond, aged 21, for holding up a jewel truck (aptly) that June. The cops collared yet another of the Penn-Post's esteemed guests the following year, this time arresting one James Tackney for allegedly making off with $35 from the 14th Street Station of the Ninth Avenue El. Tackney, a bit of a bad seed, had previously escaped from the Randall's Island "House of Refuge" (juvenile prison) by swimming across the East River. 1926 brought the unhappy story of Mr. and Mrs. Norman Sharkey of Scranton. Having planned themselves a holiday weekend in the big city, the Sharkeys made an ill-advised booking at the Penn-Post. As it happened, their visit coincided with one of the hotel's seasonal hold-ups. Craving an early morning snack, Mr. Sharkey had gone out for "some coffee and crullers" and came back just as the night clerk was forking over the contents of the hotel's safe to three armed men. Sharkey's bad timing cost him $495 in cash and a diamond ring reportedly worth $450. Later that day, the couple picked up their car on 26th Street only to discover that their topcoats had been likewise pilfered: "Mr. and Mrs. Sharkey were thoroughly robbed in their brief stay in the city," reported the Times. 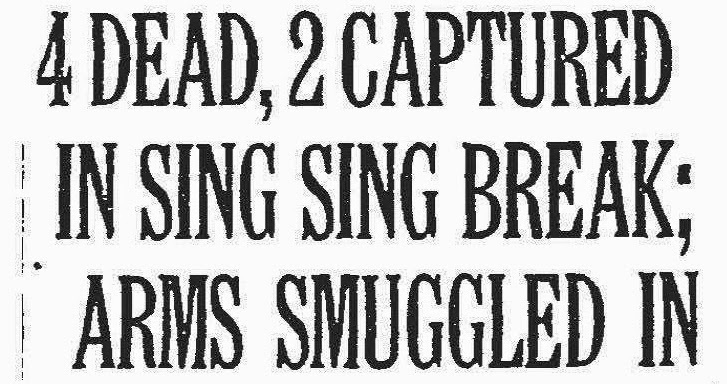 The headlines for the rest of 1926 didn't get much better: "Slaying Laid To Feud of Drug Peddlers" in June, then "30 Crimes Fastened on Weeping Gunmen" in July (the Penn-Post figures into both stories tangentially). 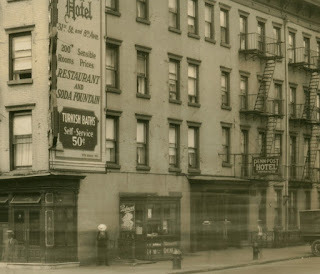 Then came another armed robbery in 1927 ("3 Youths Steal Car, Hold Up Two Places"), this time unburdening the hotel of $282 ($52 from the night manager, $5 from the porter, and $225 from the safe). "Gunmen Shot Down in a Running Fight" came the news the following April, as the Penn-Post lost another guest to the scales of justice that spring. "Held For Robbing Friend," headlined the Penn-Post's next moment of fame: "Ricardo Diaz, 24 years old, an unemployed waiter living at the Penn-Post Hotel . 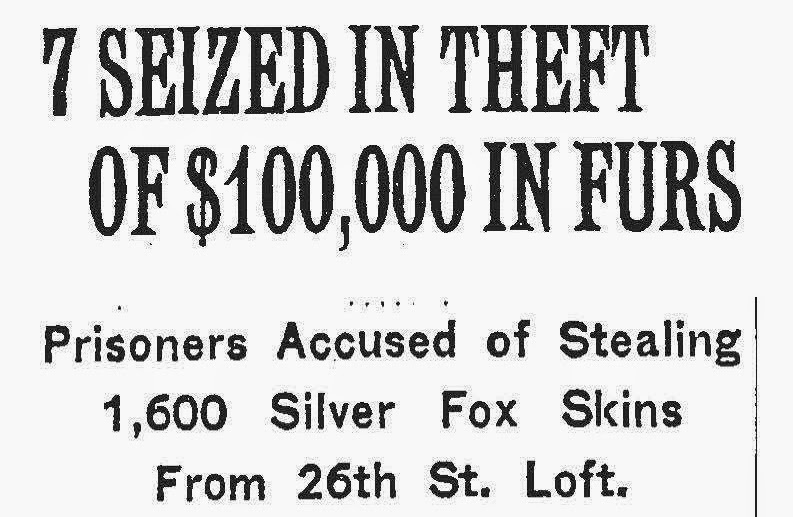 . . was held on $5000 bail yesterday. . . ." A heist of silver fox skins led to the loss of yet another tenant in 1930. This was followed by another stick-up in July of '31, then at least three more guests claimed by the law in 1935 and 36. The most notorious name on the Penn-Post's illustrious guest register may have been that of Charles McGale, whom the police collared (at the Penn-Post) for a botched robbery in January 1936. Sentenced to fifteen years at Sing Sing, McGale apparently got antsy about five years in. He and two fellow inmates decided to make a break for it in April of 1941. "4 Dead, 2 Captured in Sing Sing Break" read the front page of the Times on April 15th. McGale and his cohorts made it to freedom, however briefly, but not before fatally shooting a guard while checking out. Minutes after breaking free, one of the escaped prisoners got caught up in a mutually-fatal gunfight with a local patrolman from the Ossining PD. (The fourth casualty was an unentangled inmate who dropped dead of a heart attack upon hearing news of the break.) McGale and his surviving conspirator hijacked a rowboat and made it across the Hudson River to Rockland County, where they were promptly arrested and returned to Sing Sing. Both men got the chair the following June. Things seemed to quiet down at the Penn-Post after the 1930s. Maybe the hotel's glory years were behind it. Or maybe the Times had better things spill its ink on. In any case, the litany of headlines trails off to a trickle by the 1940s. This is not to say that the hotel turned over a new leaf. A 1964 story made subtle reference to a little secret the Penn-Post kept down in its basement all the while: "Policeman Demoted Over Hotel Inquiry," read the headline, a somewhat demure outline of a case in which a deputy police inspector got himself in hot water for "impeding a police investigation into alleged homosexual activities" at the hotel. 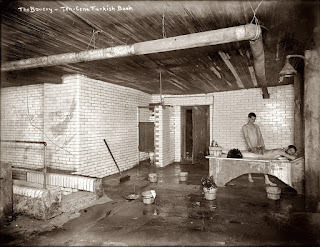 The Penn-Post didn't offer much in the way of amenities, except for a "turkish bath" in its basement. This was open to guests and non-guests alike. "Hotel for men," read the advertisement back in 1920, "a place you'll like!" While a reform commission identified the Penn-Post as a house of assignation as early as early as 1923, the baths downstairs had earned a reputation as a down-low meeting place for gay men by the 1920s. "Beginning in the 1920s, the Penn-Post Baths, located . 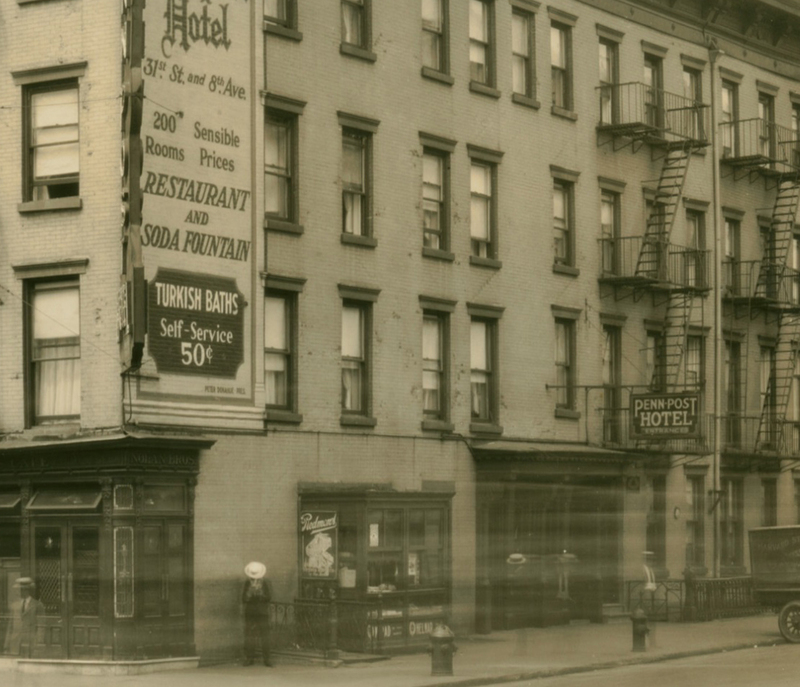 . . in the basement of a seedy assignation hotel on West Thirty-first Street near Eighth Avenue, offered a strikingly different sexual scene," writes historian George Chauncey in his book Gay New York. 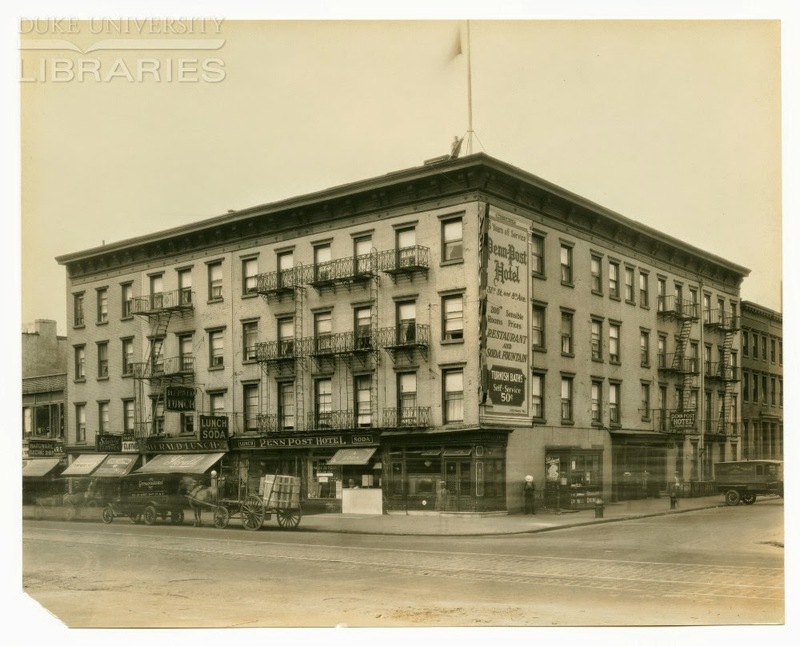 "Like the [nearby Everard baths], it was busiest in the evening, especially after the bars closed, during lunch, and right after work, when it drew men from the many offices and depots in the neighborhood and from among the commuters who passed through Penn Station, just across the street. But because it was so cheap, its clientele ... included poorer office and manual workers. It had none of the privacy or elegance of the Everard, for its facilities consisted of little more than one large room, which held a dozen or so bunks and a few benches, plus a shower room and a tiny steam room, and its exhibitionistic sexual scene, as well as its 'low-class' clientele, gave it a somewhat unsavory reputation among middle-class gay men." While the Times laid this aspect of the Penn-Post story between the lines, the hotel's gay days are recounted in greater detail in the book "Alienated Affections" by Stanley Kleinberg, who frequented the basement baths beginning in the 1940s. 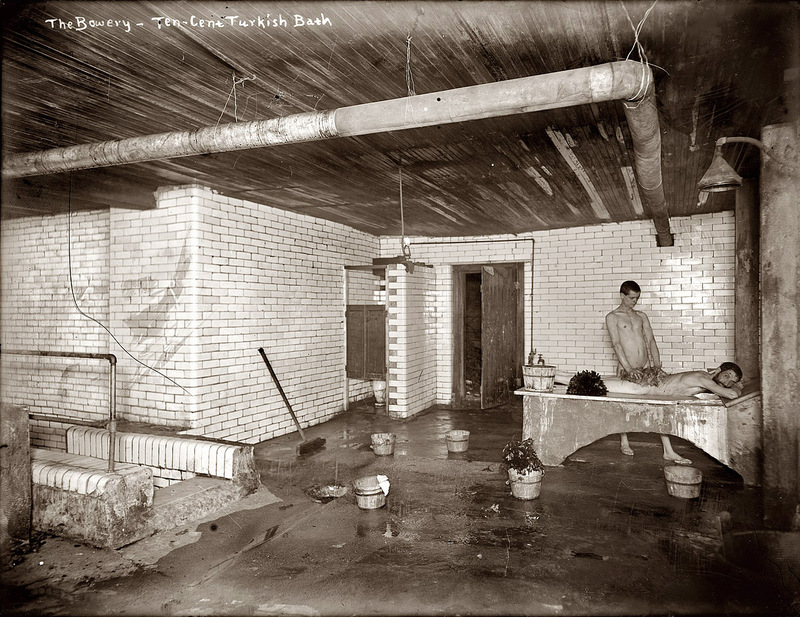 Kleinberg described the establishment as an "eerie Turkish bath" where he "paid a dollar to 'use the showers'" while still a minor. "What I saw at the Penn-Post was lust in action," he wrote, "silent, genital, brief and somewhat grim. . . . there were no rooms or corners, no place for privacy and therefore no place for foreplay. I did not see two men kiss for years . . . by then, the Penn-Post was attracting younger men with its growing reputation as the raunchiest baths in town." The Penn-Post made its last New York Times appearance in a 1974 story on Single Room Occupancy hotels being shut down to make way for various more lucrative redevelopment schemes. Long before New York's hyper-gentrification seemed even a remote possibility in a then crumbling Gotham, city agencies were already monitoring conditions at places like the Penn-Post on behalf of the elderly and other low income persons for whom they provided much needed de-facto affordable housing. The Penn-Post, reported the Times, was one of at least 23 SROs that had closed in the preceding year. The city's Department of Buildings issued a demolition permit for the old hotel in 1975, still a few years before the the AIDS crisis exploded and the health department put an end to New York's bath house culture in the 1980s. A fenced-in parking lot now occupies the corner where the hotel once stood. 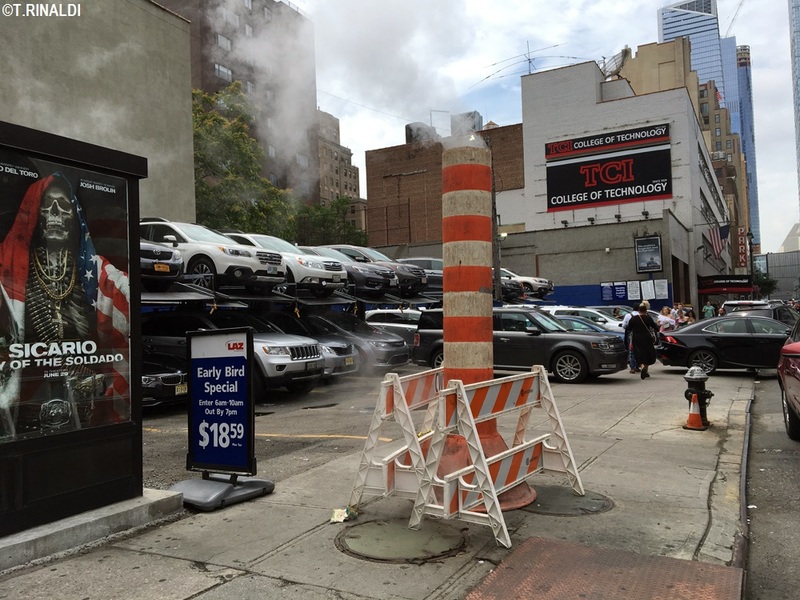 The stretch of Eighth Avenue below Penn Station remains one of the last bastions of urban grit in midtown, though it too, has begun to turn. A few blocks down Eighth Avneue, the old Vigilant Hotel - one of the city's last Bowery-style flops - seems finally to have flipped its last flop. On the same block as the Penn-Post, the gutted shell of the old D'Aiuto bakery sits empty, while on the next corner, a new neon sign heralds the Riff Chelsea, a hip hotel with "rockstar rooms for 2-star rates." One TripAdvisor review laments the "just-get-over-it" attitude of the hotel's staff, but concedes that its "location is perfect." POSTSCRIPT: The Real Deal reports that the Riff Chelsea was sold for $28 million in May 2018. The hotel closed immediately and is being prepped for demolition at the time of posting.